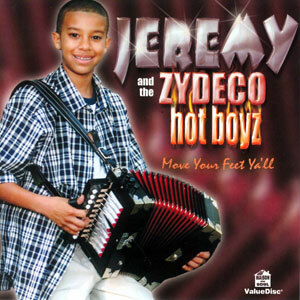 Jeremy Fruge’s musical career began at the age of 3 when he would visit the home of his great uncle, Zydeco legend, the late John Delafose. 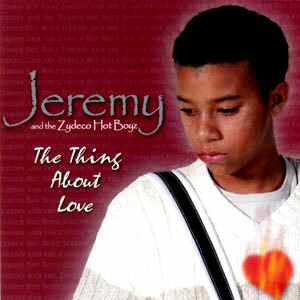 Even at that age, Jeremy experimented with various instruments and later developed a love for playing Zydeco music. Not only does Jeremy play the accordion, but also the bass, drums, rub board, and trumpet. The Thing about Love is the follow up to the Hot Boyz’ first CD, Move Your Feet Ya’ll. Now they are back, seasoned and hotter than ever! Released in 2003, 6 tracks.